Designers are to deal with several challenges on daily basis therefore they have to be mentally and physically present on their workplace to avoid any hassle, to avoid any discreet issues, to meet up the values and designation of the job, to satisfy the clients, to be more active, to be more confident and to be wise and conscious about the nitty-gritties of the workplace. Of course it is not an easy thing to be all eyes and all ears, one has to be fit and fine to avoid deviation. It is easier to get carried away and intimated by negativity around, so make sure where you work, you develop a good interest in the setting, you have good two-way connection between the colleagues and employees, you have good conduct of work, and you are good at dealing with the owner, supervisor or your client. Once you develop a good level of trust, it is more likely to make you count for the future dealings and corporate works. 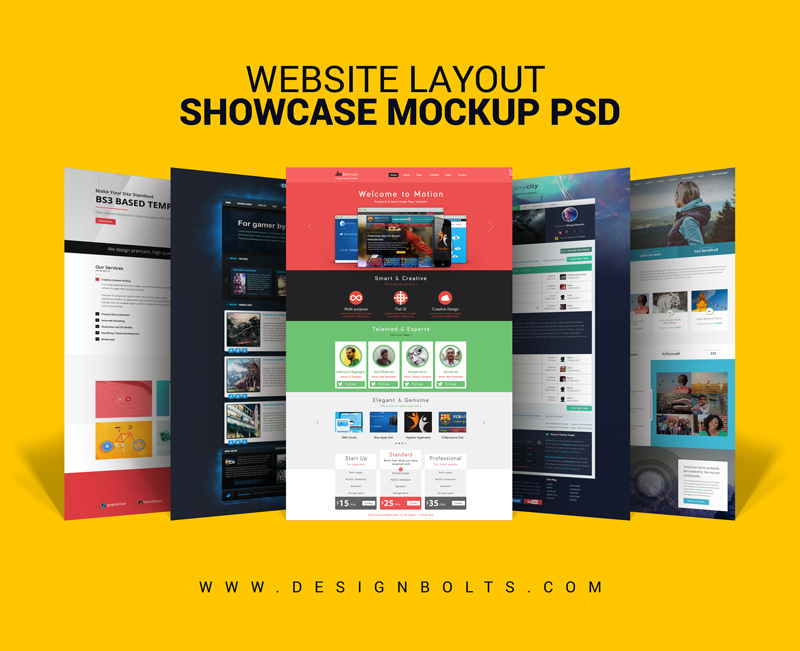 Down here I am presenting before you free website layout design showcase mock-up PSD for web designers. If you are making a website or in future you are supposed to build up a website for your client then you must give him all clues and you possibly don’t have to put things vague to confuse his mind; you can simply insert in the website’s layout into this website mockup and it is ready to be presented before him. This mockup shall give your client an idea that how the layout of the website will look in the real form. He could possibly scroll up/down, zoom in/out to see the minute details, and shall also highlight to you where you should make amends, and where more things are to be added up right away. Check out my post of today, and let me know how it is going to help you out. Stay tuned for more amazing design dose and give us your feedback. Here we go with a bang to come right back tomorrow with some amazing design feed.